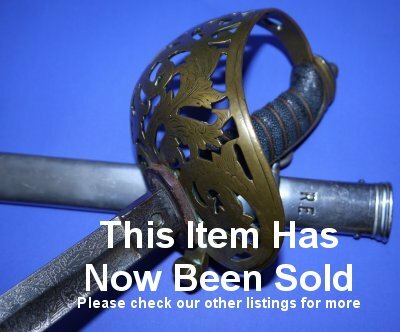 In overall good condition, the Victorian British Royal Engineers Officers Field Service Sword of Lieutenant G S Knox, R.E. 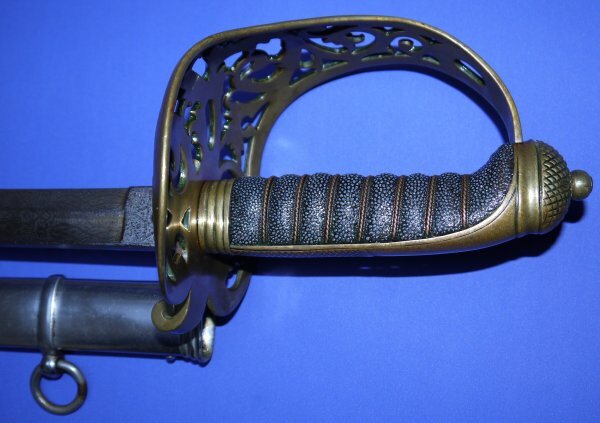 The sword made by Thurkle, bearing the name to the blade and scabbard of "G S Knox". The Knox family have a long family association with the Royal Engineers. George S Know earned his commission at the end of Queen Victoria's reign and saw service in both World Wars, including as a signals staff officer Lieutenant-Colonel for the famous Desert Rats during WW2. He had a long and varied career in the British Army, at one time in East Africa before WW1. 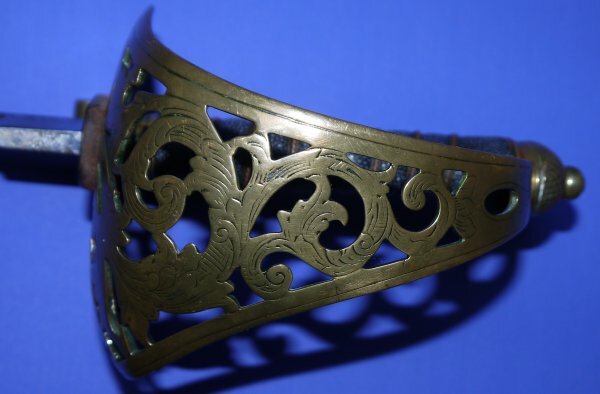 The 32 3/4 inch blade, also bearing the Knox family crest and motto, has suffered a bit at the test of time, both wear and some plating loss. 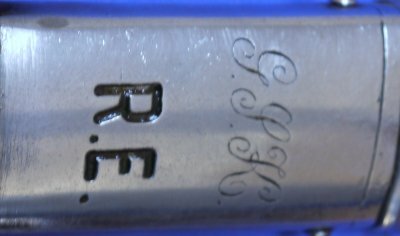 Blade firm in the hilt. 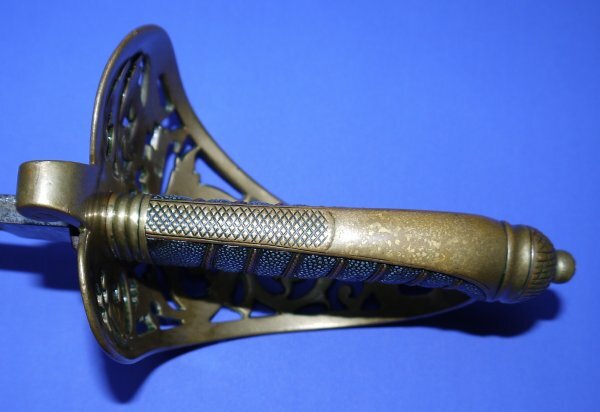 The brass hilt with some distortion as is common with brass, but overall is very good, certainly above average. The black fishskin grip is in very good condition, as are the twisted grip wire bindings. 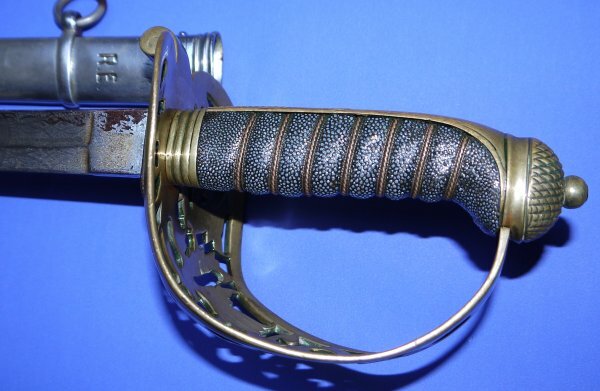 The steel scabbard for field service officers is good. The sword sheathes and draws well. A good example from an important officer, grab it quick at just £750. Please quote item reference number U60. Further / full sized pictures available upon request. Box 0902-111x19x13 (2.375).